Camembert cheese is French in origin, but it is also made in other European countries and the United States. It is made from cow's milk and when produced, it has a pale yellow color, a soft white rind, and a creamy texture. The flavor of Camembert Cheese is distinctive and slightly fruity and has an aroma similar to mushrooms. It is sold in small disc shapes and is used exclusively as a table cheese. Cheeses such as Camembert, Chèvre, or Brie are bloomed rind cheeses that have a chalky white colored rind made from mold added to the cheeses. A Penicillium edible mold is added to start the creation of the rind. As the cheese ages, the mold matures or blooms that not only forms a semi-firm crust on the cheese crust but also penetrates into the cheese, moving from the outer covering to the inner center of the cheese paste. This adds flavor to the edible rind and enhances the flavor of the cheese paste. 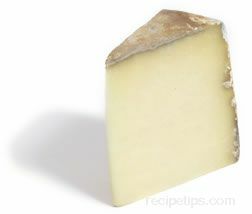 Cantal is a French cow's milk cheese that is a dull yellow color with a natural grey crusty rind. It has a hard texture and a flavor that is similar to cheddar (the longer it is aged). The hard texture of the cheese makes it excellent for grating and it is also suitable for melting into sauces and for use as a snack or hors d'oeuvre. Chabichou is a French goat's milk cheese made in the Poitou region south of the Loire valley. This cheese is molded in a cylindrical shape, cured-dried, and allowed to age for a month or two, during which time a thin, rough white rind becomes yellow and blue with mold. 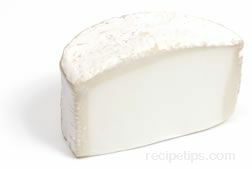 When served young (3 to 4 weeks of age), the cheese has a fresh, distinctive goat cheese flavor. As the cheese ages and dries, it becomes smooth and dense and has a rich and somewhat sweet-tasting flavor with a salty overtone. Produced as a farmhouse and a factory cheese, chabichou is typically available as a Chabichou du Poitou or a Chabichou Chablis. Chaource is a soft off-white cheese from France with an earthy mushroom taste that becomes sharp and fruity-flavored after it has aged. It is made with unpasteurized cow's milk in some regions or pasteurized milk in cheese factories. The natural white rind is edible and may be mottled with small red patches throughout. The cheese is produced in small short cylindrical shapes and is soft and white when young. The interior becomes very soft and runny as it ages. It is primarily used as a cheese for hors d'oeuvres and appetizers. Chèvre is a white cheese made entirely from goat's milk and is commonly referred to as goat cheese in the U.S. (The word Chèvre translates to goat.) When the cheese is a combination of goat and another type of milk, it cannot be labeled as pure Chèvre. It is available in round loaves, drum shapes, round patties, log shapes, and a variety of other shapes. Logs of Chèvre, which are the most commonly available form, are sold in small diameters and are either whole or sliced into thick round sections. Cheeses such as Chèvre, Camembert, and Brie are known as bloomed rind cheeses, which contain a chalky white-colored rind. A bloomed rind is started by applying a Penicillium mold that matures, or blooms, forming a tender crust over the cheese and then spreads to the center of the cheese paste. The texture of Chèvre ranges from soft and creamy to dry and very firm. Aged Chèvre has a firm outer area where the cheese has begun aging from the outside in. This type of cheese becomes firmer and somewhat stickier as it ages. Chèvre has a slightly sharp, tart, and tangy quality with a somewhat nutty flavor when it is several days old. The goaty taste will increase as it ages beyond a week or two. Chèvre can be served as a dessert cheese, as an ingredient for salads, as an appetizer or hors d'oeuvre, or as a spread for breads and crackers. Slices of Chèvre are often grilled and served on hard bread or are added to salads. Chèvre can be refrigerated for several weeks. When it begins to taste somewhat sour or bitter, it should be discarded. A popular French cheese made from the milk of Montbeliard cows, raised in the Franche-Comte region of France. Certified with a European A.O.C. ranking, this cheese is brine-cured as it matures. A rough outer rind that is tan to gray in color surrounds a firm-textured interior that has a mildly sweet aroma of fruit or even flowers or grasses of the area in which the cows graze. Nutty to slightly tangy in flavor, Comte cheese is a good choice for snacking or for adding to salads and sandwiches. It is also a good cheese for fondues. Made from raw sheep's milk, this variety of cheese comes from the French island of Corsica in the Mediterranean. Semi-firm in texture, Carsu Vecchiu is formed into wheels ranging in size from 3 to 5 pounds. 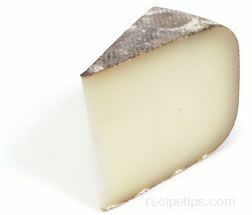 As the cheese ages from 1 to 6 months, it develops a natural rind that is tannish to grey and speckled. The rind covers a straw-colored paste with numerous small eyes. The paste of Corsu Vecchiu has a tangy flavor that is also slightly sweet, nutty, and somewhat salty. Corsu Vecchiu can be served as a snacking cheese with dark breads and medium bodied red wines, or it can be shaved as a topping for pasta, casseroles, soup, and meats. This cheese may also be referred to as Tomme Corsu Vecchiu. A Brie-like cheese produced in northern France and made from raw or unpasteurized cow's milk. Since there have been no standardized recipes or sizes that have been conformed to by the makers of this cheese, it is unable to receive the A.O.C. designation as a Brie cheese despite being the same in most respects. Cured and aged for 1 to 2 months depending on the milk used to make the cheese, Coulommiers is a cheese that looks and tastes very similar to its close relative known as Le Forgerus cheese, which may also be labeled as Le Fougéru. Le Forgerus cheese is produced in the same area of France as Coulommiers and is made into small wheels that have a white penicillin rind. It has a similar mildly sweet flavor to Coulommiers, yet it is a bit mellower. 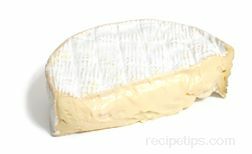 The white paste of Coulommiers is soft and creamy and has a slightly salty taste. It is a good cheese to serve at room temperature with bread and fruit. Cream cheese is a type of unripened cheese with a smooth texture and a sweet tangy flavor. It is produced from milk and/or cream and is a very versatile type of cheese. It is used in a wide variety of food dishes, hors d'oeuvres, snack dips, and desserts, and since it is very spreadable, it is an excellent topping for crackers, bagels, and sandwiches. Cream cheese is produced with either whole milk for the traditional version or with skim milk in order to provide a low fat version. The lower fat versions have 30% to 50% less fat than the traditional version, while a nonfat version that is becoming more popular has, as the name implies, zero fat content; however, the flavor and texture of the nonfat version are noticeably different than the traditional version. The nonfat and reduced fat versions are best used as an ingredient in recipes rather than eaten plain or used as a topping. Other versions of cream cheese that have been enhanced with herbs, spices, or fruit are also available. They are often used as flavorful additions to appetizers and other food dishes. Cream cheese is also available in a whipped version, which is an airy, lighter-textured version of traditional cream cheese. Since it is not as firmly textured and contains less volume than traditional cream cheese, the whipped version is lower in calories and fat content. Another variety of cheese that is often considered to be a type of cream cheese the French Neufchatel cheese, named for the town in France in which it originated. Traditional Neufchatel is made with unpasteurized cow's milk, but when it is exported to the United States, it is made with pasteurized milk. Domestic versions of Neufchatel produced in the United States often do not contain as high a content of cream, which thickens and enriches the texture and flavor, and they are typically higher in moisture content; therefore, to thicken the consistency, domestic versions contain xanthan and carrageenan gums. When a recipe indicates the use of cream cheese or Neufchatel cheese, it may be best to determine if it is a French version of the recipe or an American version in order to achieve the intended results. To store cream cheese, refrigerate it and keep it wrapped tightly after opening. Since this type of cheese has a limited shelf life after opening, it should be discarded if mold appears. A French term used to describe a small round molded cheese made from goat's milk. Translated into the word dung or horse droppings, the term Crottin is used mainly as a reference to the shape and finished appearance. Some of the typical cheeses that are referred to as a Crottin include Crottin de Chavignol, Crottin d'Ambert, Crottin de Pays, and Crottin du Berry, named for the regions in France where they are produced. 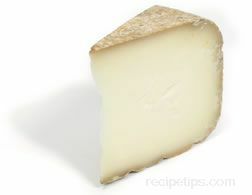 When selecting, buy a Crottin that is not too young and fresh (bright white) nor too old and yellow or tannish in color. After a Crottin is a week old, it has a yeast-like flavor with a moist texture. As it ages for a few days longer, the cheese begins to become more flavorful with a nuttier taste that becomes sweeter when reaching 3 weeks of age. Similarly, as the flavor improves, the texture becomes denser and creamier. 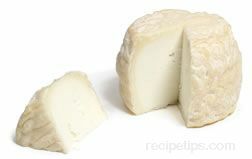 A favorite way to prepare a Crottin in France is to baste it with a vinaigrette, bake or grill it until slightly warm, cut it in half or quarters, and serve it over a bed of greens as an appetizer or salad dish. Crottins can also be served as dessert cheeses, pairing them with fruit, hard crusted breads, and a light and fruity red wine. Dauphin is a semi-hard unpasteurized goat's milk cheese from France. The cheese is produced in dolphin and brick shapes with a deep red rind. 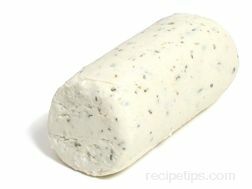 Pepper and tarragon are added to the cheese to give it a distinctive flavor. It is excellent as an appetizer, hors d'oeuvre, or snack. Made from pasteurized or unpasteurized cow's milk, Epoisses cheese originates from the Burgundy region of France where the town of Epoisses is located. The pasteurized variety is allowed to be shipped into the U.S. The authentic variety, made with unpasteurized milk, is commonly referred to as Epoisses de Bourgogne to denote that it is a true Epoisses cheese from Burgundy. Epoisses cheese has numerous imposters, so be careful when selecting it. The most enjoyable and authentic version of this cheese is labeled "Epoisses - Berthaut" in reference to the French cheesemaker Robert Berthaut. It may also be found in a variety that has all the same characteristics but labeled "Ami du Chambertin," which is not made in Epoisses but in the nearby town of Brochon. Often made as a farmhouse cheese in small round disks, Epoisses Cheese is packaged in a small round wooden container after being aged for approximately two months. 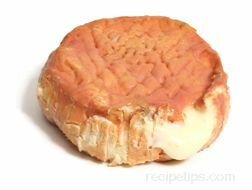 Once removed from the container, Epoisses displays a soft, moist, tan to dark reddish-brown rind that encloses a soft-textured paste. The cheese has a deep meaty but creamy taste that makes it an excellent choice to be served as an afterdinner cheese. Blonde to ivory in color, the paste is creamy in texture, ranging from very soft to almost sticky, depending on its maturity, which could range between 30 to 40 days. As the cheese ages, the paste becomes spicy or tangy in flavor. Epoisses Cheese has an earthy aroma that has a slightly pungent overtone. If the aroma is too pungent, it's a good indicator that the cheese has matured beyond its prime. Epoisses is a good cheese to serve with robust red wines, spicy white wines, hearty or rustic breads, and fruits with a sweet to tart flavor. Etorki is a hard sheep's milk cheese that originated in the Aquitaine region of France. The cheese is light yellow with a thin orange rind. 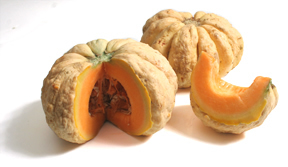 It has a mildly sweet flavor and is excellent as a snack or for grating and melting purposes. A French unpasteurized goat's milk cheese that gets its name from the fact that when it is produced, it is shaped like a fig. The flavor is mild but tangy. The cheese is much like the more familiar goat's milk cheese, such as chevres. Figue cheese is often sprinkled with herbs or salt and ash. It is used mainly as a snack cheese, as an ingredient in salads, and for grilling. An unpasteurized sheep's milk cheese from the French Mediterranean island of Corsica. The cheese is a very pale yellow, and it has an exceptional flavor that is mild and sweet, which becomes richer with age. The cheese has a natural rind that is usually covered with herbs, juniper berries, and peppers. 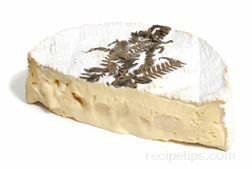 Fleur de Maquis cheese is most often used as an appetizer, hors d'oeuvre, or dessert cheese. A cow's milk cheese produced in the Loire Valley of France. 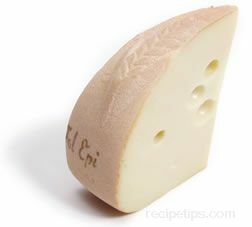 Fol Epi is often made with a cheese mold that forms a distinctive wheat ear pattern on the rind. This cheese is similar to Swiss style cheeses that have a rind dusted with a coating of toasted wheat flour. The cheese itself is pale ivory in color, and it has a somewhat nutty and fruity flavor very similar to a Swiss style cheese. It is an excellent cheese for snacking or for serving with hearty breads, fruit, and in salads. It is also a cheese that melts well when heated or grilled. Made from unpasteurized cow's milk, this cheese is native to France where it is traditionally produced as an artisan farmhouse cheese and is often referred to as "Le Fougerus" or "Le Fougéru." It is also made with pasteurized milk so that it can be sold in the U.S. Considered to be a Brie type of cheese, Fourgerus is typically cured and aged for 30 to 60 days, made into wheels of 1 to 2 pounds, and covered with a white penicillin mold rind. Beneath the rind, the cheese paste is white, soft, and slightly sweet tasting with a somewhat salty overtone. This variety of cheese often has a fern leaf placed on the top of the rind as a decoration and to indicate that the cheese is, indeed, Le Fougéru. As a very close relative of Coulommiers cheese, Fougerus Cheese is produced in the same region of northern France and has a similar appearance and flavor. Coulommiers is formed into wheels that are small, medium, or large that range in weight from less than a pound to slightly more than a pound. Best whenserved at room temperature, both Fougerus and Coulommiers are enjoyable cheeses to serve with bread and/or fruit. A French cow's milk cheese that has a soft texture, off-white color, and a spiced flavor that is slightly strong. It is allowed to age in wood ash where it develops a natural rind covered with the ash. Frinault is not produced in large quantities, so it is often hard to find. A French style fresh white cream cheese made from whole or skimmed cow's milk and whipped into a smooth texture. It has a very soft, almost runny consistency similar to yogurt, and it can be blended nicely into sauces or used as a complement to desserts. Fromage Blanc, also referred to as fromage frais, is much like the German, Dutch, and English cheese referred to as Quark; however, it doesn't contain as much fat as Quark. 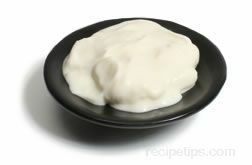 Since Fromage Blanc may curdle when heated to certain temperatures, it is best used in recipes that are uncooked. The cheese is traditionally available plain or in various flavors. Fruit, herbs, and spiced ingredients are often used as flavoring. Fromage Blanc is lower in cholesterol and fat than cream cheese, and it can be used as a good substitute for recipes requiring cream cheese or yogurt.